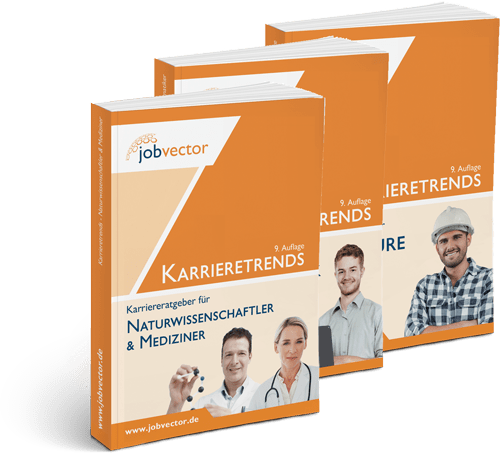 jobvector is the award-winning, specialised online jobboard for scientists, physicians, IT specialists and engineers and has lots of jobs in different professions. Since 1999, both graduates and industry professionals with many years of professional experience have been finding specialised positions with their employer of choice. 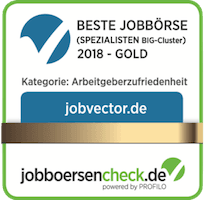 In addition, we have been named the best special job portal in Germany several times in a row by applicants and companies. jobvector is not only a name, but also our goal - to bring scientists, physicians, IT specialists and engineers closer to their career goals. At the established jobvector career day, applicants meet employers. The career event for your personal contact with potential employers is held in Munich, Frankfurt, Berlin, Dusseldorf and Hamburg. There you will receive valuable information firsthand for your personal career path. In presentations and face-to-face discussions with employers, you can discover new prospects for your career. Subject-specific publications on career trends contain various information about different professions and career prospects. Advice reports, company profiles, as well as content analysis and industry trends offer a comprehensive and compact guide. The publications appear semi-annually in several editions. 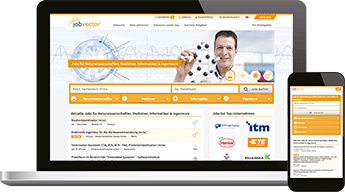 jobvector was founded in 1999 by Dr. Eva Birkmann, Dipl.-Phys. Jochen Riks and Dipl.-Biol. Tom Wiegand MBA in Dusseldorf. Not only the founding team, but also most jobvector team members have an academic or professional degree in engineering, computer engineering, medicine, or the natural sciences. Our nearly 70 employees work daily on optimising jobvector to further satisfy the ever-growing number of employers and applicants. We are continuously expanding and looking for new, innovative ideas and smart people. But what we value the most is personal direct feedback when we meet, at our career fairs, at conventions and symposiums, in person or on the phone.